Roman numeral tattoos are the existing trend in the tattooing world, which are normally used to make a tattoo of favorite number, get your date of birth in unique style or the date of your wedding. Roman numerals is actually a process that uses letter from the Latin alphabet, instead of using the Arabic numerals. Even celebrities like David and Victoria, Angelina Jolie and Eva Longoria all have such tattoos and due to this it’s in fashion. 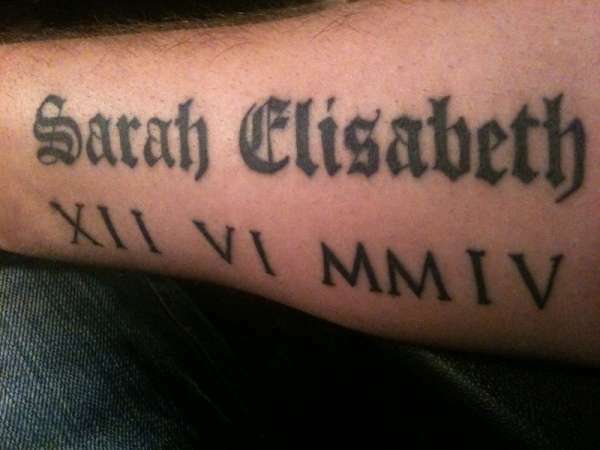 To get roman numeral tattoo, unique and stylish fonts are used. It all depends on what font you choose for your tattoo. Other than using stylish fonts you can spice up your Roman Numeric tattoo by adding different roman style symbols. Here we are listing some creative tattoo designs. If tattoos really inspire you, there are more posts which you must visit, Sleeve Tattoo Design Ideas for Men, 29 Gorgeous Wrist Tattoos, 33 Stunning Behind The Ear Tattoos and 26 Dazzling Tattoo Fonts.